All Posts Tagged With: "north"
It's a hot, sticky morning and all around me is the scent of Jasmine incense and citrus. I'm in Batu Caves , a series of caves and Hindu temples within the limestone rock on the North side of Kuala Lumpur. 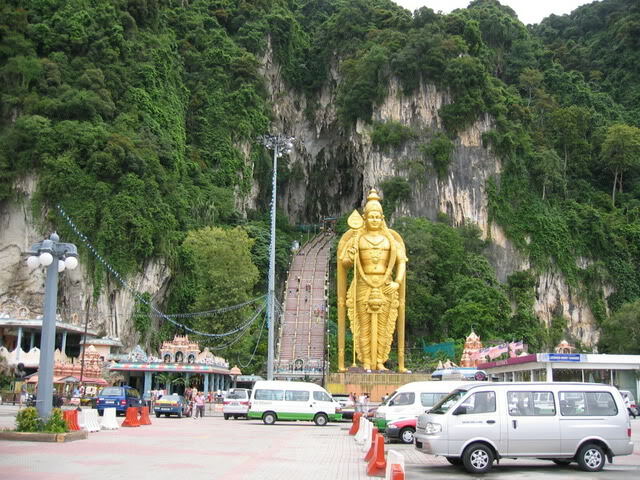 batu_caves_entrance .. This morning we decided to make the trip to the Batu Caves , which are about 13km outside the city. We decided just to go independently on the train ra.